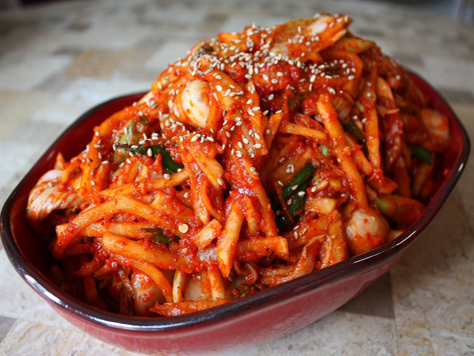 Find a friend who makes it or learn how to do it yourself: make & eat fermented Kimchi, the Korean condiment. It's spicy hot & it stinks! But guess what: when eaten in large, consistent quantities, it positively influences "blood pressure, waist to hip ratio, glucose & insulin levels & total cholesterol". It helps people with weight loss! !